Welcome to the Janet Brockett Library! DISCLAIMER - The Janet Brockett Elementary Symbaloo website is not sponsored by Mansfield ISD and Mansfield ISD is not responsible for the contents of any linked site, any link contained in a site or any changes or updates to such sites. Come to the Library and find a "just right" book for you! Once a Brockett Lions, always a Brockett lion! We have many e-books available to us, too, through Region XI. You can access them from home by connecting to our online library catalog at http://destiny.esc11.net/ and clicking on "Technology Resources Education Consortium" at the bottom of the page. Then just click on "TREC eBook Catalog," followed by the "Catalog" tab at the top of the page. Once you're in the catalog, search for what you're interested in, click on the title you want to read, and then click "Read Online." They have so much to offer! Read A Tumblebook a day! Get access to books to read with your student: EPIC! Classes for 2nd, 3rd, and 4th graders will be during Enrichment time. Students will use this time to develop Library skills and select "just right" books. Parents, please read our Library Information and Book Checkout policy to find out about student checkout and procedures. Students in grades K-1 may have one book checked out at a time. Students in grades 3-4 may have two books checked out at a time (based on teacher decision). All books may be checked out for one week, and may be renewed on an as needed basis. Classes visit our library weekly for instruction and checkout. Students may also check-out books before school from 7:30 - 8:00.Parents, please help to ensure your child is a good library citizen and returns his/her book on time each week. Access to search for books in Brockett's library may be done from the classroom, or home, by visiting the library website and clicking on the Destiny icon. Scholastic Reading Counts is a reading program that tracks student success on books they read, in and out of the classroom. Students will be able to access this program and take quizzes at school during normal school hours. 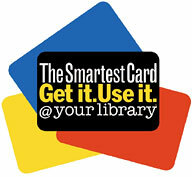 A link to the Reading Counts quiz database is provided on our library website. Safari Montage is an amazing resource for digital classroom media. It provides access to videos, images, audio files, lesson plans, classroom tools, and much, much, more! - Teachers will need username and password to log in. Discovery Education is an educational website that offers videos and material for student and teacher use. FunBrain is a fun website for kids that offers educational games for math and reading. It offers a variety of grade levels for a wide range of students. This is a great website for kids who love all kinds of animals. Students can play games and learn about animals all around the world. Starfall is a free website to help children learn to read with phonics. Starfall is an educational alternative to other entertainment choices for children. Research your favorite animals from home or school. PebbleGo features hundreds of animals, reading supports, games, and audio and video clips of animals in action. Students will need to see Ms. Sparkman for username and password. The Arlington Public Library offers a wide variety of books, and APL now offers ebooks for checkout!